Born in Isfahan in 1949 to an Iranian couple of Southern origin, Reza Ghassemi soon flourished as a talented musician, player of the Persian Setar, and composer of songs (for masters of traditional music Shahram Nazeri and Mohammad-Reza Shajarian. 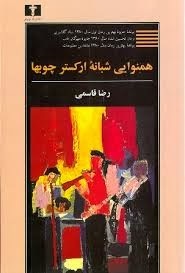 Ghassemi has also been a prolific writer of plays, short stories, and novels that won noteworthy awards in the past decade, such as the 2002 Golshiri Literary Award for Nocturnal Harmony of Lumbers’ Orchestra. 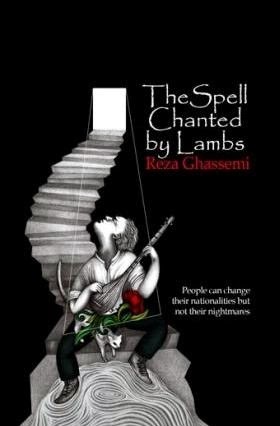 His other breakthrough novel The Spell Chanted by Lambs (the first Iranian novel that got completely published online as a reaction to censorship of his work) is recently translated to English by Erfan Mojib. Nocturnal Harmony of Lumbers’ Orchestra (1991-1994), First print: Nashr-e-Ketab: Los Angeles, 1996. Sixth print: Niloofar Publications, Tehran. The Well of Babel (1994-1998), First print: Baran Publications: Sweden, 1999. The Spell Chanted by Lambs (2002; published online), Khavaran Publications: 2008. First published in the U.S. and then by the Iranian publisher Cheshmeh, it was lauded as the Best Novel of the Year  by Houshang Golshiri Literary Award and as the 2002 Novel of the Year by the Press Critics Awards.